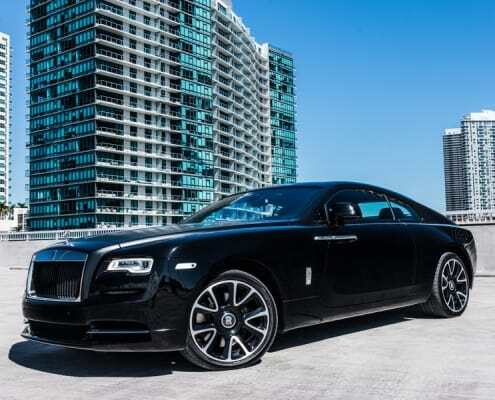 If “going in style” is your preference, then you can hardly go wrong if you take advantage of a Rolls Royce Wraith for rent. 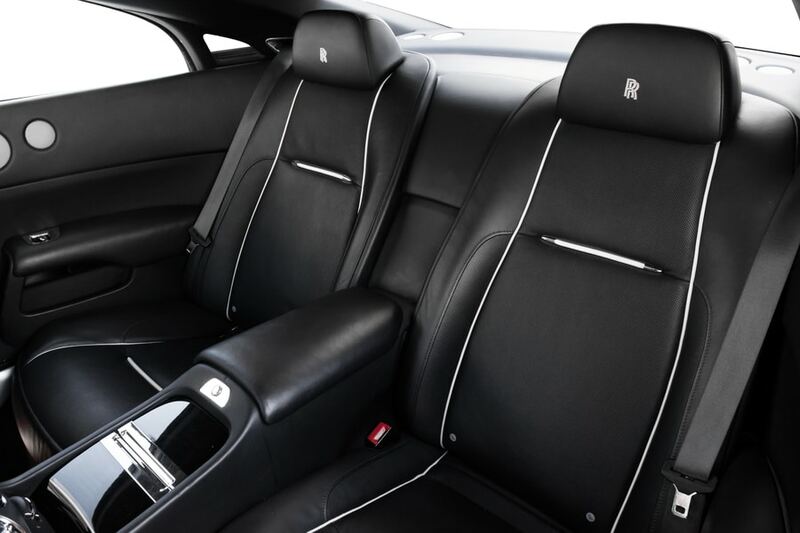 This 624-horsepower beast hums until you feather-touch the accelerator. 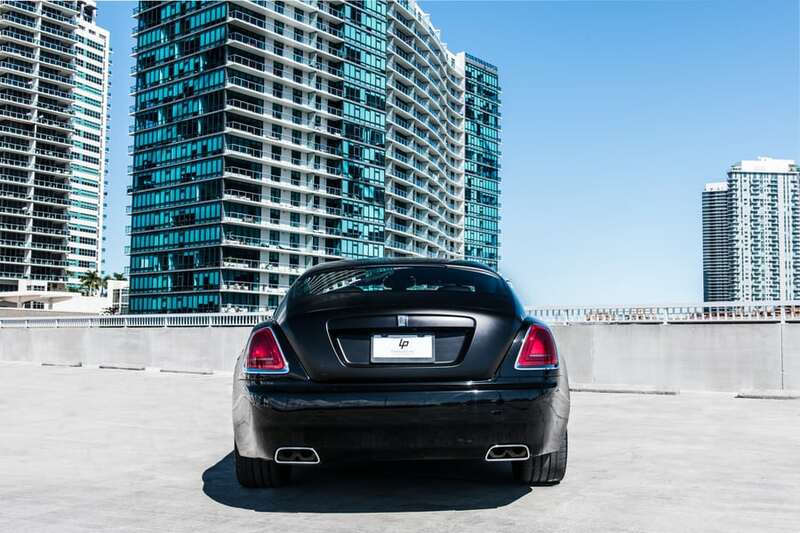 Thereafter, 12-cylinder power plant springs to action with ferocious, burning acceleration. 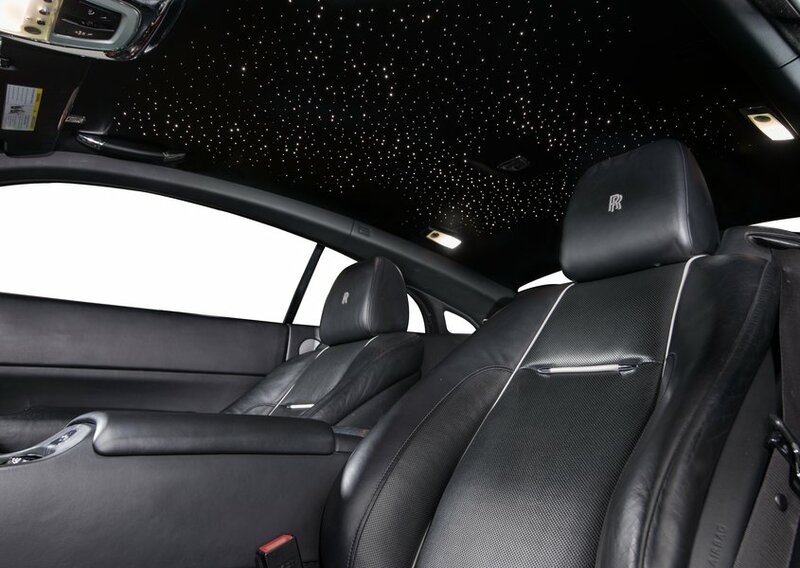 Also, it passes 60 mph in a shade more than four seconds. It whizzes through the quarter mile in a bit more than 12 flat. 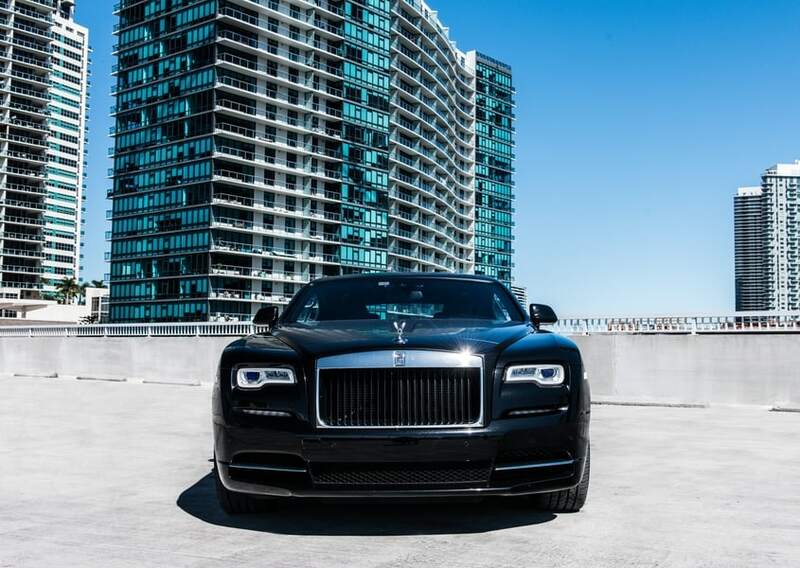 The Wraith hugs the ground a mere 6 inches above it. 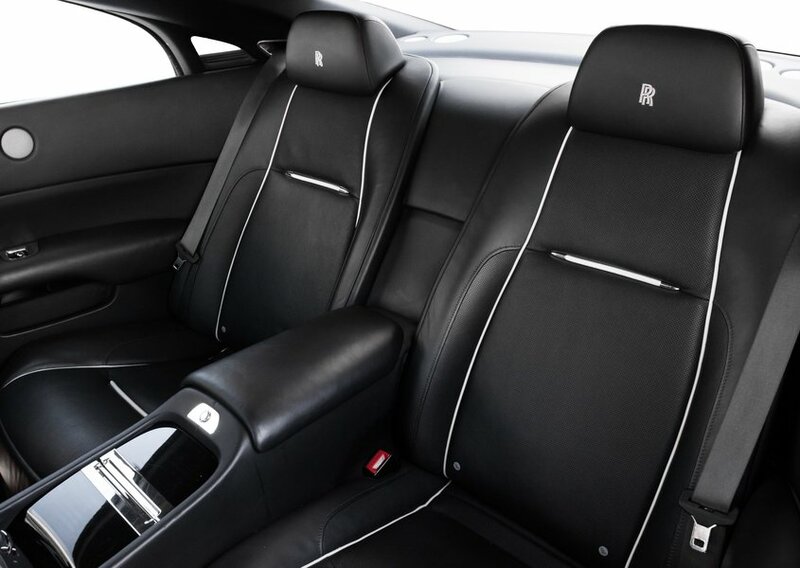 The aerodynamic shape ensures a smooth ride. Even with all 605 pound-feet of torque cranking the car nearly sideways, you barely feel the roar. 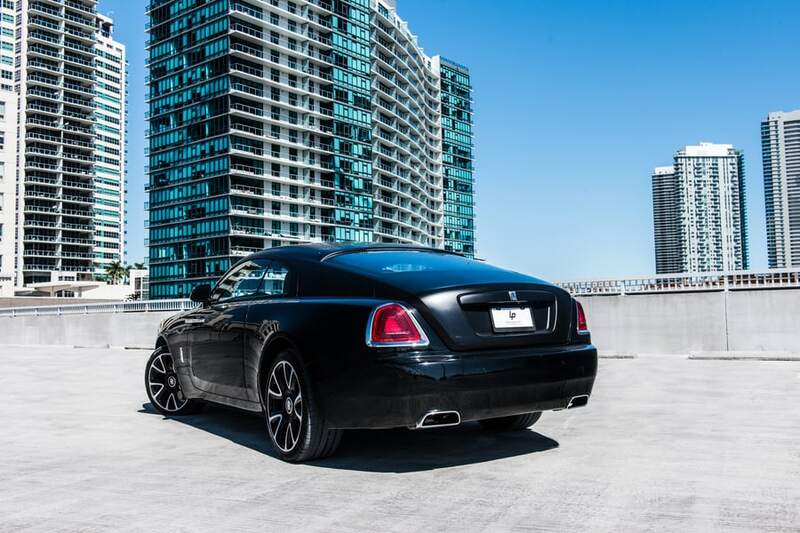 Yet, the Wraith’s greatest asset is the GPS-assisted transmission. That’s right. 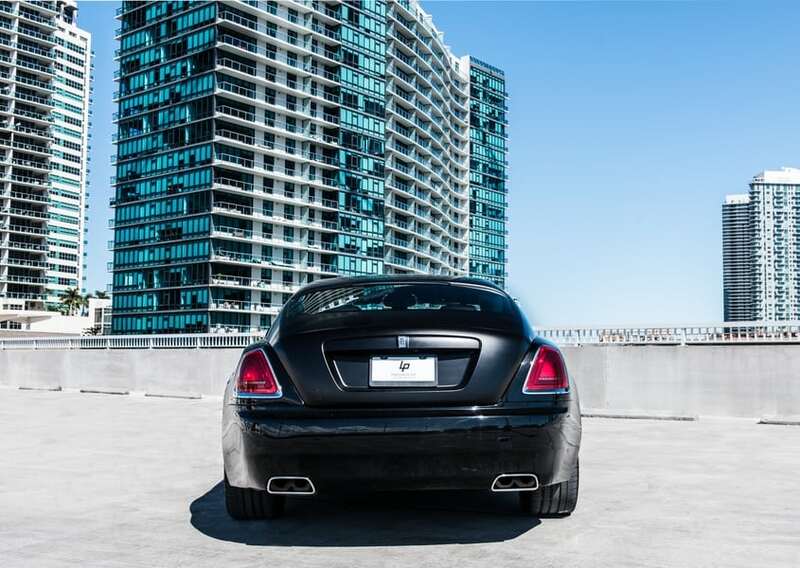 The car knows a turn is coming up and will downshift for you. 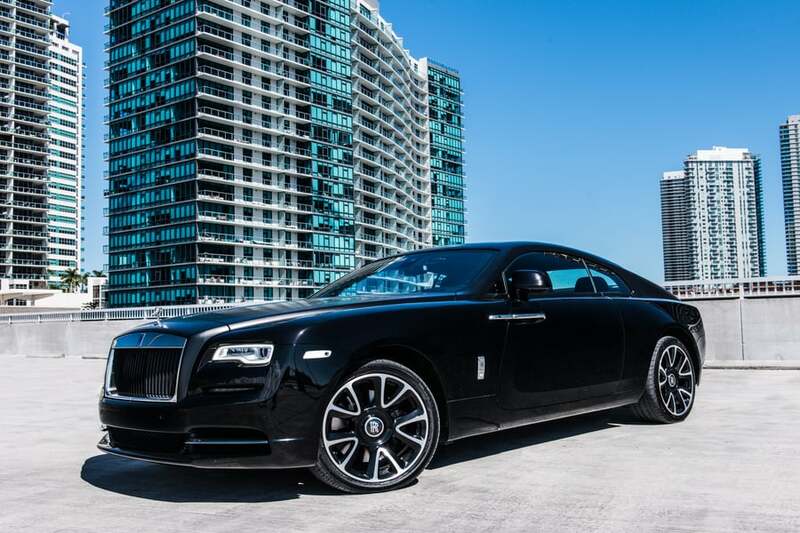 Of course, that’s what you get from a superb Rolls Royce Wraith rental Miami! 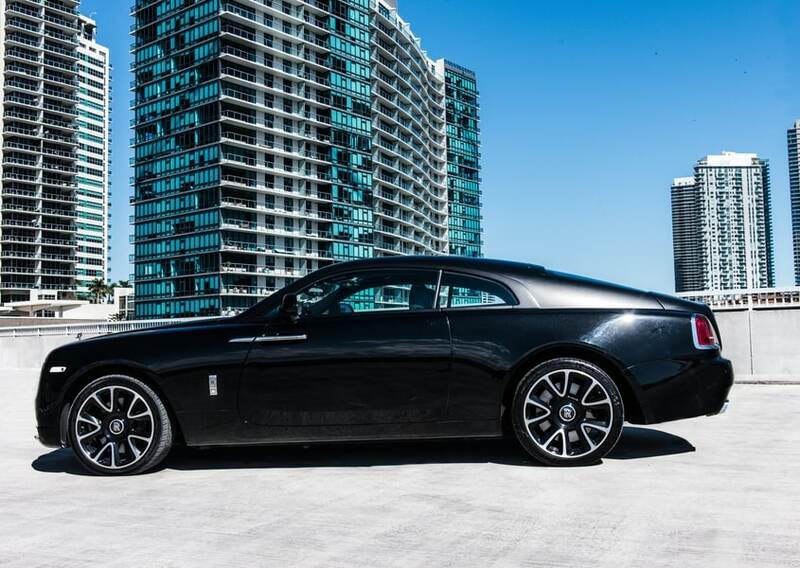 For a bit of whimsy from your Rolls Royce Wraith rental Miami, check out the car’s coach doors. Yes, they open “backwards” for a hint of the 1910s. Don’t worry, though. 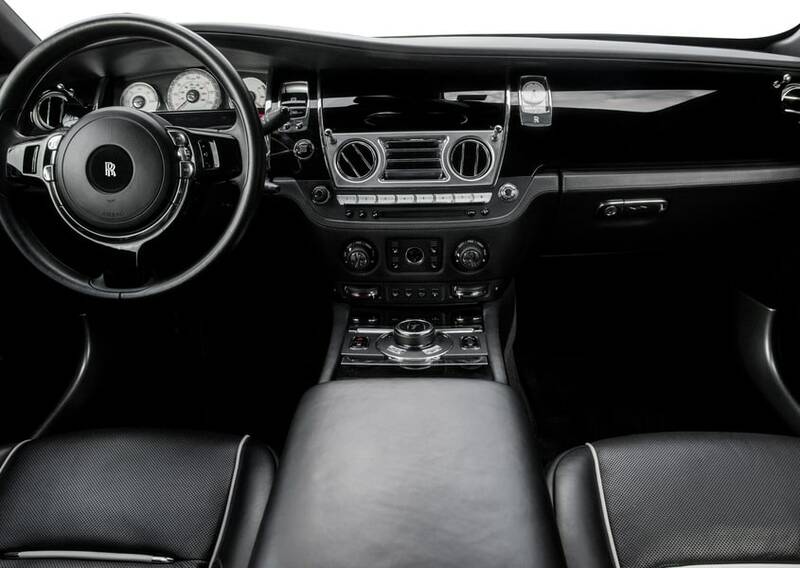 You’re still 100 years past that with voice-activated commands and top-flight engineering. 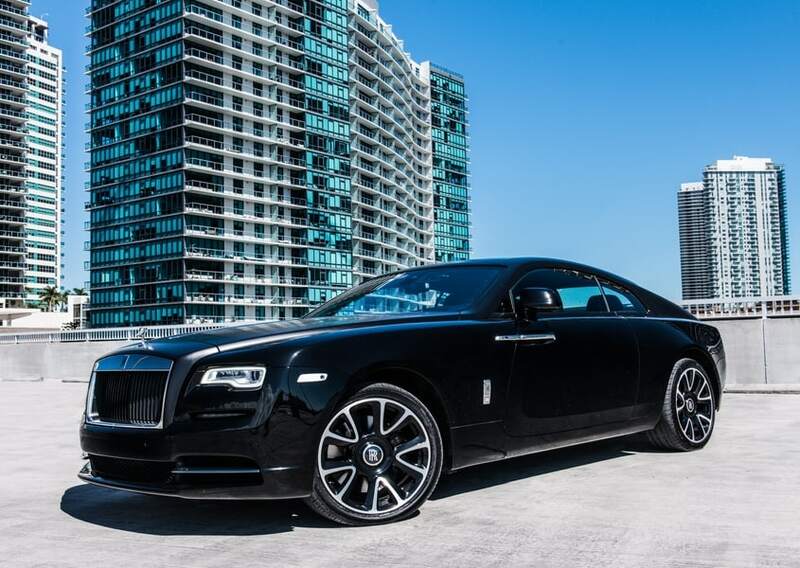 Rent the Rolls Royce Wraith to check them out. 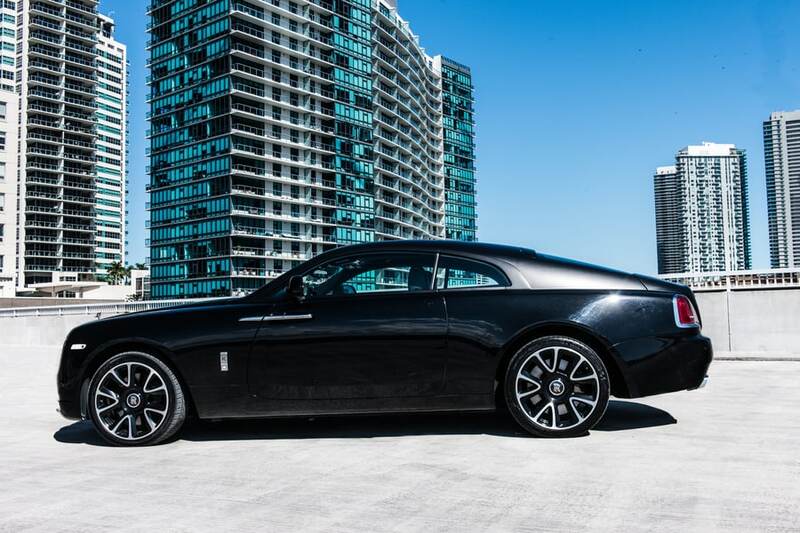 From us, you get a Rolls Royce Wraith for rent. You don’t pay too much. We have flexible dropoff times. Also, we provide convenient delivery service too. 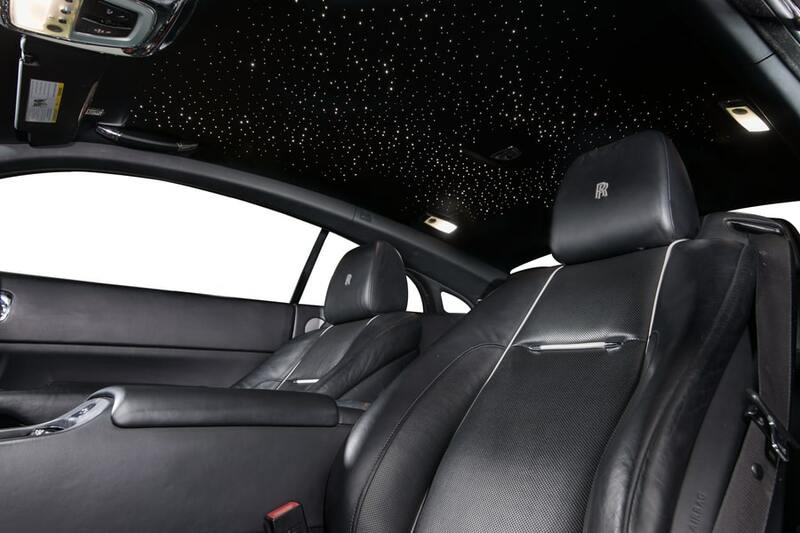 Everything we do, we do to make you more comfortable and appreciated. 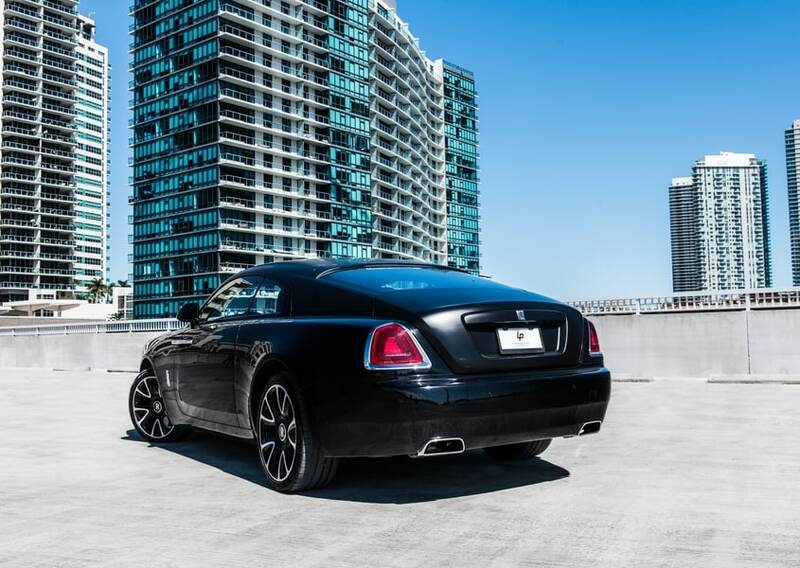 You know you want to drive a Wraith. 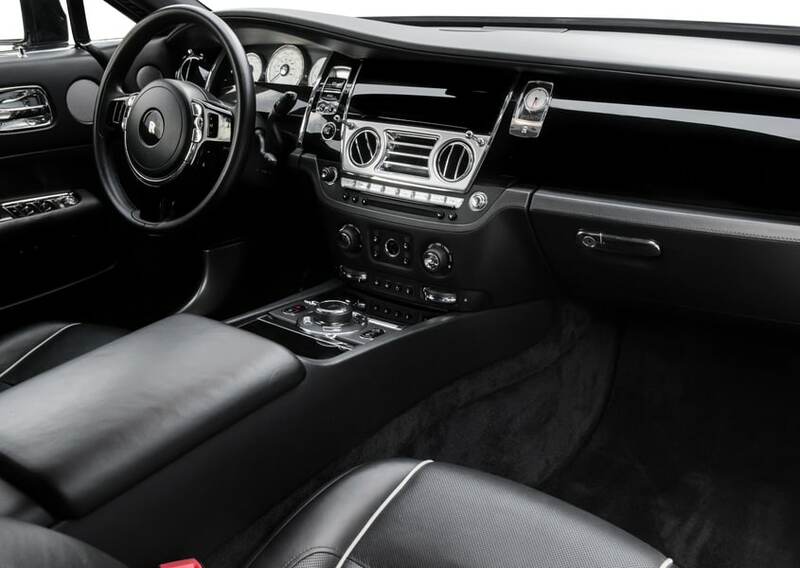 So, call us today, and we’ll hand you the keys. 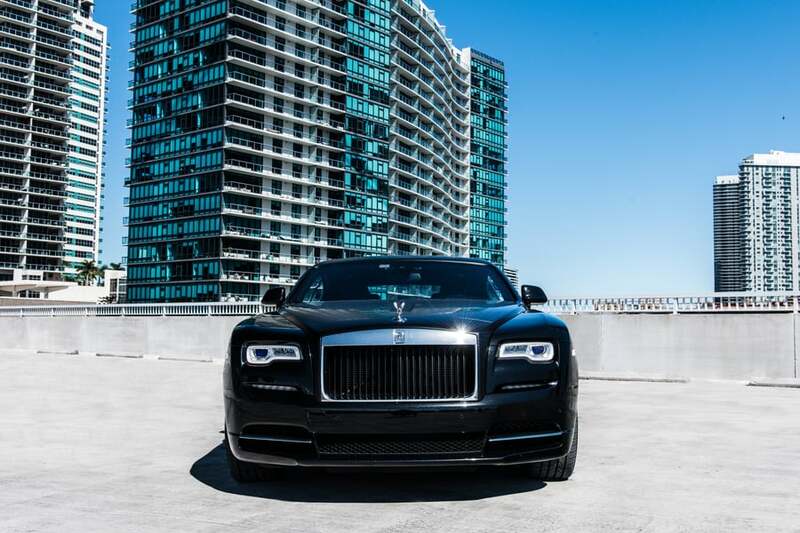 Text or call 786-441-7392 to reserve this Rolls Royce rental.